Business plan writing workshops and educational programs. We believe in an educational approach to entrepreneurship and thus provide prospective entrepreneurs the guidance and mentoring required for preparing a business plan. 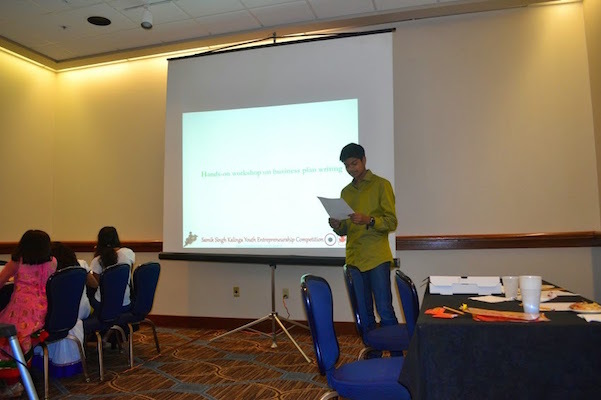 SSKYEC is an entrepreneurial program organized in collaboration with the Odisha Society of the Americas (OSA) with an objective to encourage and guide the youths of OSA community to participate in an educational based business plan competition in a way that the participants receives a first-hand experience in the preparation of business plan and eventually consider entrepreneurship as a possible career option. The competition was started in 2009 at the 40th OSA Convention held at Trenton, New Jersey and is conducted once a year. Since 2012, the competition is named after Late Samik Singh (son of Dr. Sujay Singh & Dr. Gita Singh). Samik Singh was an entrepreneur and was the founder of San Diego Biotech Journal and Protein Lounge. 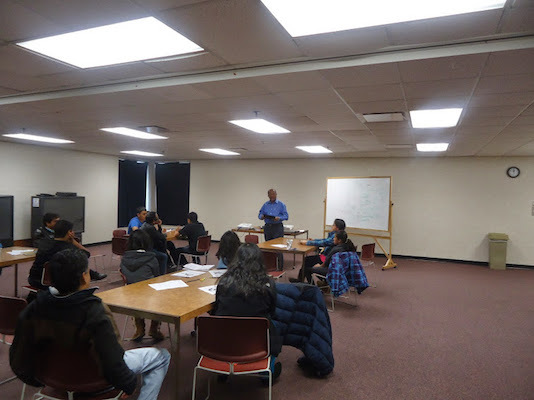 The competition has been made possible through generous financial support from Mr. Dan Mishra and Dr. Sujay Singh. SSKYEC is a three-step competition. The first step or Phase I requires the team to submit a two-page business plan and a pitch video. The second step or Phase II requires the selected teams from Phase I to be interviewed by a panel of judges over Skype. The third step is a business plan presentations of top three teams of Phase II. To participate in the Phase I of SSKYEC, participant(s) needs to submit a two-page business plan. There is a mandatory specified format for Phase I submission. You can download the Phase I format by clicking here. The competition opens on March 1. The deadline for Phase I submission is May 1. The submission should be made via email to info@kalingaventures.org. Judging criteria for 2-page business plan will be based on the following. All members of the team must speak. The videos should be at least 2.5 minutes long and no longer than 3 minutes. The video can be any format the team wants. Possible formats include skit and slide presentation (see examples). The video must be uploaded to YouTube as “Unlisted”. Judging criteria for pitch video (25 points) will be based on the following. Phase I entries that contains only the 2-page business plan or the pitch video will be disqualified. You have to submit both the 2-page business plan and pitch video. The two-page business plan along with the link to YouTube video submission should be made via email to info@kalingaventures.org. Up to six teams will be selected for Phase II on the basis of Phase I submission. Teams will be interviewed by a panel of judges over Skype. The video interview will be up to 30 minutes long and will contain questions related to your business plan. It is expected that the interview will take place at a mutually convenient time in one of the weekends of May. Phase II will be judged based on the team’s ability to convince the judge that they have a sound business plan, and their performance in Phase I. The top three teams will be notified by end of May. The competition is only open to middle school (sixth grade and above), high school and college going youth. The competition is open to valid OSA members. There is no restriction to number of members in a team. You have to attend the convention to participate in the competition. Past winners of SSKYEC cannot participate in the competition with same or similar business plan as submitted by the participants before. Based on performance in Phase II, the first, second and third prize will be announced at the Convention. The teams will not judged in Phase III. Team that does not attend the OSA Convention will be disqualified and will not receive the prize. The three top teams will be asked to submit a 3 minutes video. The teams can submit the same video as Phase I but the video has to be of high resolution. The videos will be displayed in the main auditorium at the OSA Convention. The deadline for video submission is June 20. The video should be of 1080p resolution with at least 30 fps. The videos should be uploaded to a Dropbox folder (a link will send to the three top teams). The winners are announced at the OSA Convention. What can I do with the award money? Winning teams are free to use the award money in any way they wish. I need assistance with the Phase I submission. Can you help? Yes, you can send request for mentoring to info@kalingaventures.org. A member of core committee will get back to you. Who will judge the Phase I and Phase II entries? The Phase I entries will be judged by the SSKYEC core committee. The Phase II will be judged by a judge selected by the SSKYEC core committee. Does the format for SSKYEC will remain same for the next year? 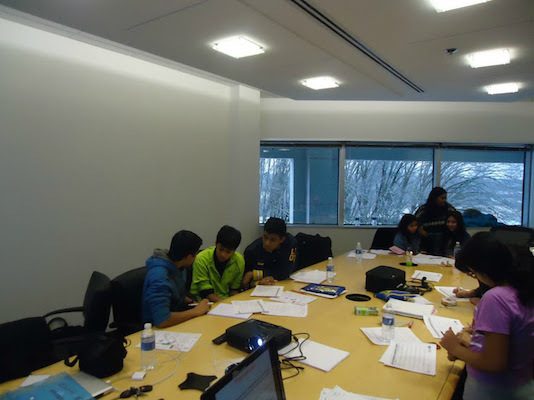 Over the years, SSKYEC has evolved and thus modifications are made every year to increase the participations. If you have any suggestions, please send it to info@kalingaventures.org. Educational programs including hands-on workshops are key focus areas of Kalinga Ventures. 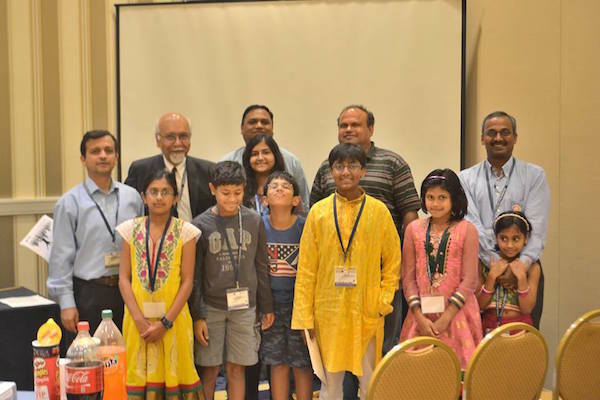 In the past, we have organized several workshops in various locations including New Jersey, Maryland, Chicago and California, and at OSA annual conventions. These programs are offered in engaging formats to deliver takeaways that attendees can use to write short business plan. Since 2013, we have incorporated quiz based learning, which has increased the participation of attendees. The quiz involves several questions on company logos, founders, marketing campaigns, and approaches that startups have taken to generate sales. The quiz based format has allowed us to pass the message of writing business plan easily and more interactively. During workshop, key components of business plan such as idea, innovation, marketing, and financials are explained. No prior learning or preparation is required to attend the workshop. In the past, youths of age group from 8 and above have participated. For 2015, we are working on doing the workshop online so that we can reach more participants.